The Leader of the Shiite Islamic Movement of Nigeria (IMN), Sheikh Ibrahim El-Zakzaky, has suffered a ‘stroke’ amid concern his health is taking a turn for the worse. The 68-year-old reportedly speaks with a slur and can no longer stand for prayers, and is on the verge of losing his eyesight. El-Zakzaky has been in detention since December 2015, following a violent clash in Zaria, Kaduna State, between members of his group and the Nigerian military. The movement, however, says his incarceration is illegal, criticising the Buhari administration for denying the leader access to medical treatment. “The health situation of the Sheikh has nosedived. He has suffered what turned out to be a stroke. 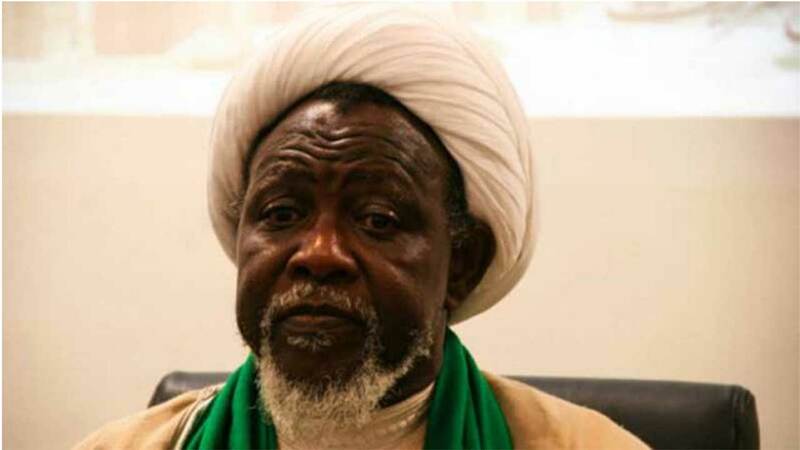 But the authorities illegally detaining him have kept a blind eye to his dire situation,” the IMN disclosed at a press conference yesterday. The police in Abuja yesterday arrested 52 members of the group who were protesting against the leader’s detention. They began the demonstration from Garki Area 10 and headed towards Area 1. They were, however, stopped by armed security operatives at Moshood Abiola Road. Policemen fired tear gas canisters, while some youths responded with stones. The incident caused panic in the area, as traders hurriedly closed their shops while motorists sought alternative routes. Police spokesman Anjuguri Manzah said the FCT command recovered petrol bombs and catapults used “to attack police operatives and damage police operational vehicles.” He said some policemen suffered injuries, adding that the arrested persons would be charged to court, following investigations. Lawyers meanwhile have condemned the rights record of the Buhari administration. “We have never had it so bad under a civilian government, where a government will deliberately disobey court orders and authorise the detention of citizens, not even under the military era,” said Senior Advocate of Nigeria, Femi Falana. An “alternative arrangement” by the family of the detained to bring an eye specialist from within the country or from abroad was also rejected “without any legal justification,” the group said. Urging President Buhari to release the couple for proper medical care, the IMN noted: “As we focus our attention on the deteriorating health of Sheikh El-Zakzaky, we are not oblivious of the medical condition of his wife, Malama Zeenah Ibrahim.